MoreKUMOR LAW, LLC offers legal representation to individuals purchasing and selling real estate in the entire Chicagoland area. KUMOR LAW, LLC also offers estate planning services in the form of preparation of wills, living wills, revocable living trusts, powers of attorney for healthcare and powers of attorney for property. Attorney John Kumor also speaks Polish fluently. 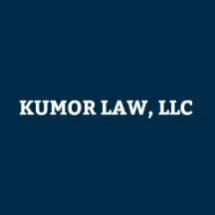 KUMOR LAW, LLC has its main office on the Northwest side of Chicago and several satellite offices, including...KUMOR LAW, LLC offers legal representation to individuals purchasing and selling real estate in the entire Chicagoland area. KUMOR LAW, LLC also offers estate planning services in the form of preparation of wills, living wills, revocable living trusts, powers of attorney for healthcare and powers of attorney for property. Attorney John Kumor also speaks Polish fluently. KUMOR LAW, LLC has its main office on the Northwest side of Chicago and several satellite offices, including but not limited to Oak Brook and Park Ridge, for its clients' convenience. KUMOR LAW, LLC also accepts clients that have prepaid legal service benefits through Hyatt Legal Plan (a MetLife Company), ARAG and WORKPLACE OPTIONS.